The Victorian-based distributor of soy milk brand, Bonsoy, is being sued in a multi-million-dollar class action launched in Melbourne today. The milk was recalled worldwide shortly before Christmas 2009, after a number of people developed thyroid problems related to high levels of iodine. Lawyer Bernard Murphy, of Maurice Blackburn, says the distributor Spiral Foods added a seaweed extract to the milk from 2003 until its recall, raising its iodine count to seven times the safe level. 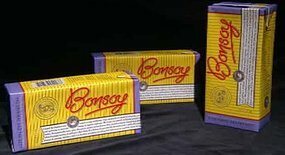 "In that period, scores of people suffered serious health consequences as a result of their consumption of Bonsoy milk," he said. "Our clients are health conscious people. They drank this milk to improve their health but instead they became sick, some of them critically ill."